Just visit the following link http://qbo.intuit.com/redir/testdrive and do whatever you want to help yourself learn the product. 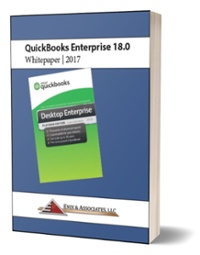 Nothing you do will be saved, but this is a great place to begin learning about QBO. This sample company is a U.S. based Landscaping Service business and is ready for you to take a test drive. You can zoom in or out by using the following: Control + to zoom in and Control ? to zoom out. Use these keys multiple times to keep zooming in or out. Hold them down continuously to zoom in and out more quickly. Below is a screenshot that I zoomed in to 50% of the normal size. Below that is a screenshot of the same screen that I zoomed out to 150%. Do not use Internet Explorer with QuickBooks Online as some things will not display properly. Since this is a software as a service (SaaS) product you should clear your cookies and cache on a regular basis to ensure QuickBooks Online works optimally. To do this in Chrome you click on the menu icon in the upper right corner. Then click on Tools > Clear Browsing Data. This will bring up the window shown below. Make sure the appropriate two boxes are checked and click on the Clear browsing data button. If you want to take advantage of Tab Browsing go to your Home Page and right click on Reports, for example. The right click menu offers you the option of opening up in a new window or a new tab. This is similar to the Open Windows list in the desktop version. You also can re-arrange these tabs any way you like by merely clicking on the tab and dragging it to the desired location.